Hobart Brewing Co.’s first bottled beer. The brand is heading north. The next best thing to heading down to Hobart Brewing Co.’s ‘Red Shed’ to sample their XTRA TASMANIAN PALE ALE straight from the tap room, is having a few tucked away in the fridge to enjoy at home. 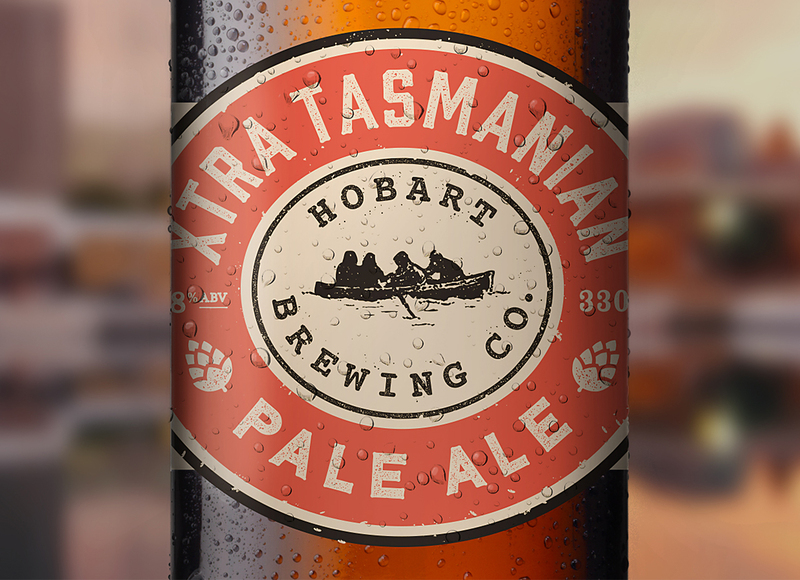 And with Hobart Brewing Co’s first foray into bottling their beer, it’s now a reality. We’ve worked with the Hobart Brewing Co. team to develop the label and packaging for the first of their beers to be bottled. It’s a hop forward Tasmanian strength pale ale, brewed with more hops and more malt. XTRA pours deep golden with a blend of floral, spice and fruit ‘hoppiness’, finishing with a firm and lingering bitterness. Not that you’ll notice the deep golden hue if you’re drinking straight from their ALL NEW BOTTLES, but you’ll still get all that hoppy flavour. It certainly lives up to the brewers vision of producing flavoursome beers that reflect their unique Tasmanian identity, celebrates local ingredients and is definitely a big beer the locals want to drink (and they’re a discerning bunch of beer drinkers). Look out for it on the mainland and demand it of your local bottle shop. PS – did we mention hops?